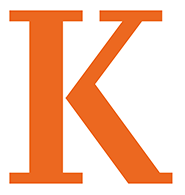 Incoming students who participate in LandSea, Kalamazoo College’s outdoor orientation program, have opportunities to meet their peers, gain self-confidence, earn a partial physical education credit and develop classroom skills even before moving to campus. Two K administrators will attest to that after participating in and reaffirming the program’s success. Vice President for Student Development and Dean of Students Sarah Westfall and Associate Dean of Students Brian Dietz traveled to the 6-million-acre Adirondack State Park in New York State to observe and experience the outdoor orientation program called LandSea, ongoing through Monday, and meet many of the 66 students participating. Vice President for Student Development and Dean of Students Sarah Westfall and Associate Dean of Students Brian Dietz traveled to the 6-million-acre Adirondack State Park in New York State to observe and experience the outdoor orientation program, ongoing through Sept. 3, and meet many of the 66 students participating. The 18-day program is in its 44th year, and was among the first of its kind in the country. The state park features the largest system of hiking trails in the country, along with 3,000 lakes and ponds, 1,200 miles of rivers, and the state’s highest mountains. K students are divided into six to nine patrols for the outdoor orientation program, with at least two trained leaders per patrol. After three days of training, they challenge themselves on the rivers, lakes, trails and peaks through one of two choose-your-own adventures, Expedition or Basecamp, both with a climb-and-rappel day, a service-and-reflection component and a day of rafting. The Expedition adventure consists of backpacking and canoeing, and allows participants the choice of extending the distance of the backpacking or canoeing portion of the trip. The Basecamp adventure offers more of a group camping experience, with bunks in canvas tents at Massawepie Lake. The students build skills including canoeing, hiking and backpacking, with opportunities for day trips and expanded service projects. Friendships that begin during LandSea often remain fundamental connections for a lifetime. 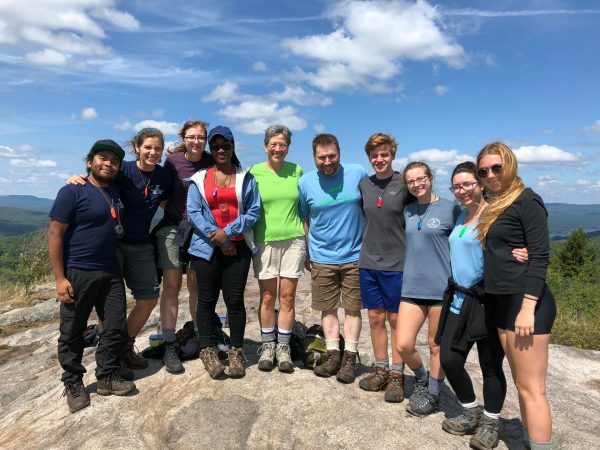 Plus, participants of outdoor orientation trips such as LandSea are more likely to develop social connectedness, feelings of belonging, campus involvement and independence with increased retention rates and higher grade-point averages. To best understand these benefits, Westfall and Dietz said it was important to examine the program first hand. “We’ve always thought LandSea was great, although we’re paid to worry,” Westfall said. Westfall and Dietz, though, saw how Outdoor Programs Director Jory Horner and Assistant Director Sara Stockwood had the students prepared for everything from necessities such as water sterilization, to common challenges such as hot days and cold nights, to possible emergencies such as lightning storms. This entry was posted in News Stories and tagged first year experience, landsea, outdoor programs, students, . Bookmark the permalink.